All Hail the King of the Grill! 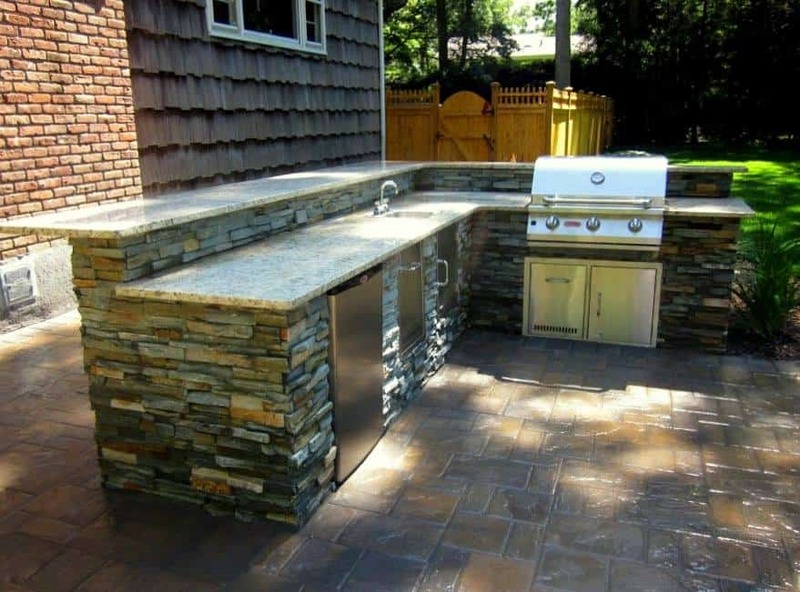 Dad would sure love celebrating his special day this weekend on this custom stone-veneered, Outdoor Kitchen featuring a Bull Outdoor Products, Inc. ‘Brahma’ grill, and stainless-steel access doors, sink, trash drawer, and refrigerator — plus, convenient electrical outlets in the backsplash. Have a Wonderful Father’s Day From Green Island Design!